Madrid has so many endless fun-filled activities, just overwhelming. The world class Museums, the plays, football, restaurants, towns and lots more. Famous for landmarks, it is the all - time competitor of Barcelona. As the Capital City of Spain, you should know it would be of greater fun to be in this lovely city. Even with that, there are some unusual and fun-filled things that make one’s Journey to Madrid a remarkable one. Do you want to know more about Madrid? 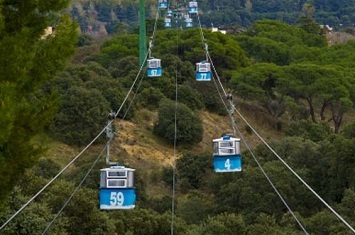 Then join us as we take you down the list of 15 Unusual and Fun-filled things to do in Madrid. 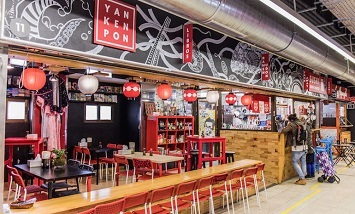 Catch the fun up these restaurants and bars in Madrid and you won't forget your experience in a lifetime. This is an ideal fun - filled activity for the whole family. The sight of plenty of red tiled rooftops and high-rise apartment buildings where needed locals live. 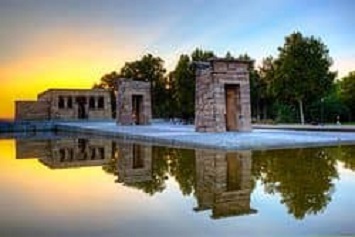 As you fly over Madrid, beautiful sights of the garden Casa De Campo Park is enough to make your day, and also you will get to see the four towers that form Madrid's concept of a skyline: Torre Dr Cristal, La Torre Sacryr Valkeheruoso, Torre Espacio and Torre Caja Madrid. One of the fun-filled experiences you must have before leaving Madrid is watching live performances at The Modern complex of 35,200 meter squares dedicated to performing arts, a best place to have fun in Madrid. 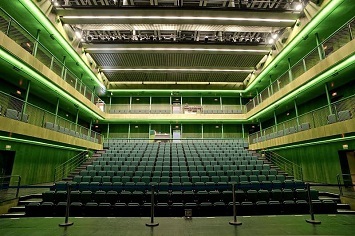 The award winning Architectural Building is the work of the Architect Joan Navano Baldewag and it is always available for different Spanish artistes for their life performances. So, get a coat on, wear your wonderful shoes and bang into the theatre for a captivating fun-filled moment of experience at the Teatros de Canal. And don't forget to have fun taking Pictures with foreign and Local viewers who are also there to watch. Fun seeking market loving Boys/girls and Market Women on a visit to Madrid would not want to miss this. The San Fernando Market is one of the five markets in Madrid's Centro District, very near the Old Pious Schools (today home to the National Distance Education University). One of the unusual things to do in Madrid is taking your spouse on a romantic date, we provide the El Charicho Park as the best answer for that. The Duchess of Osuna, Mana Josefa de la Soledad Alonso Pimentel created it in 1784. As a protector of artists, bullfighters, and intellectuals, an authentic natural Paradise was created by the Duchess. One place you must not miss on your date to the park is the well-known Bunker of the Jaca Position. Covered by 15 deep soil and offered protection against bombs of up to 100kg, the shelter having seven rectangular rooms, four exits to the park and a gallery reading the street, this is really a place where you and your loved one must not miss. And don't forget to flood your gallery with romantic pics having the park as background. Are you a monument lover? Always excited when you visit a monument? Then the Temple of Debod is the right place to be in Madrid. It is an ancient Egyptian Temple that was dismantled and rebuilt in Madrid, Spain. Although the inside of the Monument is currently closed to visitors, but you can still walk along the walkway during the Temple hours and feel the excitement of walking through the stone-built temple. Want to have some fun as you view sociocultural events? La Casa Encendida is a social and cultural centre where avent-grade art exhibitions and running courses, workshops on social matters, performing arts, film and other forms of contemporary creativity are done for local/foreign viewer's enjoyment. Don't miss the intriguing sightseeing of it's gigantic building designed by the architect Fernando Arbos and opened in 1913. It would be of greater fun to step your feet into all four floors and the terrace roof which functions as an open-air movie theatre where drunks are served. And then to the Castita Del Pascador located next to one of the Park's lesser used entrances, it's worth a walk out this way to see this heavy little monument that resembles a small dollhouse. Never forgetting to walk through the gardens of Jardines de Cecilito Rodriguez. It is not as easy to stumble across this spot, but one you discover it, you won't want to leave. Experience also the Rose Garden at this park featuring over 4000 blooming roses in various colours, shapes and sizes. Crown your experience with the statue walkway decorated with 18th century statues of Spain's past royalty. Want to have an unusual view of Madrid? Head up straight to the Vista Point at CentroCentro. 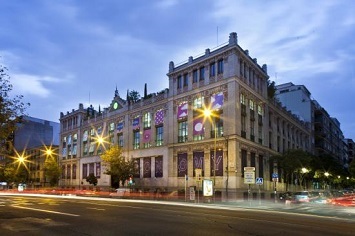 One of Madrid's note surprising and diverse cultural species is the CentroCentro housed in the grand Palacio de Communicaciones. 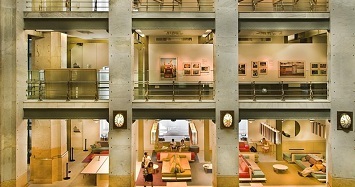 Having cutting-edge exhibitions covering 5000sq meters over four floors as well as quiet reading rooms for scholars. The most captivating activity at the CentroCentro apart from sight seeing the well - organized Home of the Madrid City Council is the tower where you can view Madrid in a 360° view. Prepare your selfie sticks to snap photos with the city of Madrid in whole as the background. 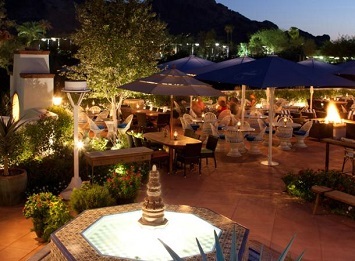 One of the Fun-filled activities one must not miss in any visited city is a well-organized Cocktail Bar. 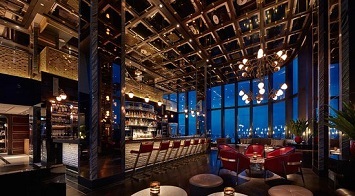 And here we present to you THE PENTHOUSE, one of the best Cocktail Bar in Madrid. One of the fun-filled parts of this beautiful City is the Home Stadium of Athletico De Madrid; football lovers would always have the memory in their brain box as they witness a match in the Stadium. The 68,000 seats located in Rosa's neighborhood in the San Blas - Canillejas district provides the most exciting and intriguing view of well arranged seats. 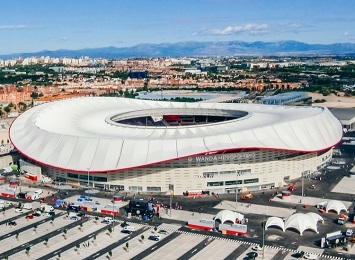 One's visit to the Stadium would make a visit to Madrid glorious because 90mins of cheering, seeing players pass the ball and also feeling the excitement on fans as the ball rolls into the net is enough to make your visit to the city complete. Want to have the greatest fun of seeing an exhibition with shows with artistic and human inclinations by organizing workshops and meetings? Just head straight to Teatros de la Abedia as it is the best place to view those unforgettable experiences that will fill your heart and memory, because the intriguing moments won't leave you for a lifetime. 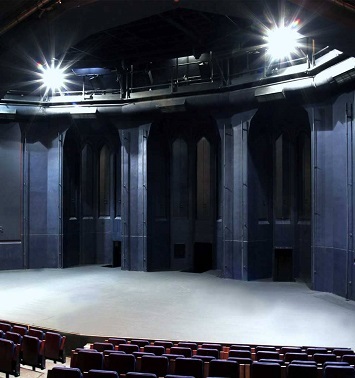 The theatre maintains a privileged relationship with Spanish Artists/Artistes so that means you will also be privileged to see your favourite on screen Spanish Artistes as they perform live in your presence. 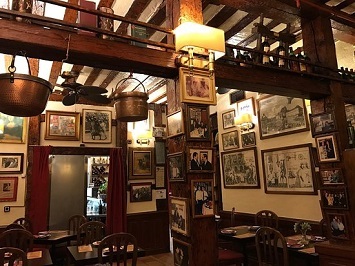 Another Unusual activity to do in Madrid is to visit some historical places, some of which you have read in books or have heard from the elderly ones. 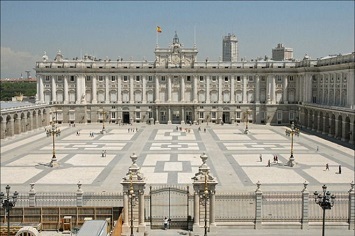 So a tour to Madrid would not be complete if you fail to visit those historical places. 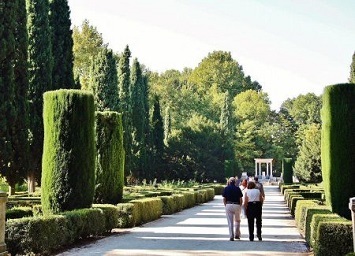 We will help you provide a list of those famous historical places in Madrid. This is quite unusual but it is a fun-filled event at the park, singing (row row row your boat.....). You will be opportuned to sing this song because Parque Buen Retiro provides you with a large lake and a guided row. 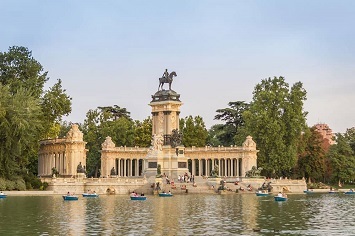 Retiro Park is a green Oasis in the heart of the city, apart from the large lake, interesting monuments/gardens including the Jardin de Vivaces and others are situated there. Taking some pictures also under the Mexican Conifer believed to be Madrid's oldest tree as it aged 400 years is a fun-filled activity. 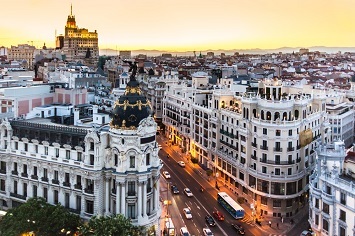 Another fun-filled activity not to miss in Madrid is walking along Gran Via, the main street of the Spanish capital. Apparently, there are a lot of things to do at night. The main street is full of loud bars, traditional restaurants, fancy hotels and many other tourist attractions. Walking alone along the street, with your earpiece stucked in your ears is just enough to make a perfect evening for you. And obviously, Madrid is full of friendly people so you got the chance to have some friends in the Spanish City. Hanging out with them and letting them take you to other Beautiful places in the street would trigger more fun.